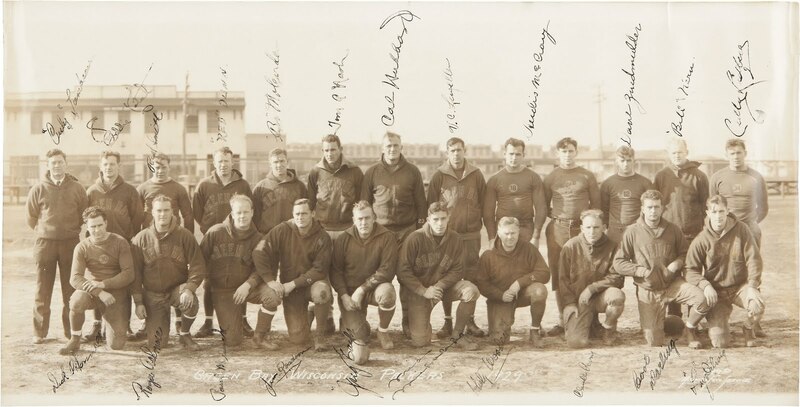 The wordmark is created from the warm-up jackets the 1929 squad had and the number were created to be as historically accurate as possible. This is also in a universe where there is no one helmet rule, so the 2010 brown helmet returns, but with a brown facemask due to may indifference with having gray. The Packers won their fourth NFL championship in these and the wordmark is a recolored mark from the 1939 Packers Press Book (the earliest I could find with a nice wordmark). Due to the rather traditional block worn, the numbers are a modified version of the current numbers to match the style of the 1936 numbers. This uniform has been replicated twice now (1994, 2015-) and both times the yoke has been massive compared to what it should be. Also, like the 1936 throwback, the numbers have been simply modified. The wordmark has been taken from the 1945 Press Book. 1939 please! If it were up to me that'd be their permanent alt uniform. Do all of the teams ! Love the second option for GB. The OP will make this a series if he/she wants to. Don’t assume they’ll just be doing them because you want them to. That being said, I wouldn’t mind if you made more concepts @packerfan21396, they look great. Very, very nice. See how easy that is, Packers? I've long wanted to see that wordmark on a tshirt. Thanks, Gothamite! My thoughts exactly! Your blog has definitely been inspirational and I wish the wordmarks on the letterheads you've dug up see the light of day on some merchandise too. Calm down kids, my intention was to just do the Packers, but I suppose there's demand for more, so what the heck? 1920 Throwback: "Wait, They Used To Be Red?" 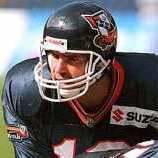 Throwing it back to the red Staleys jerseys and 1st Bears NFL (then APFA) championship. 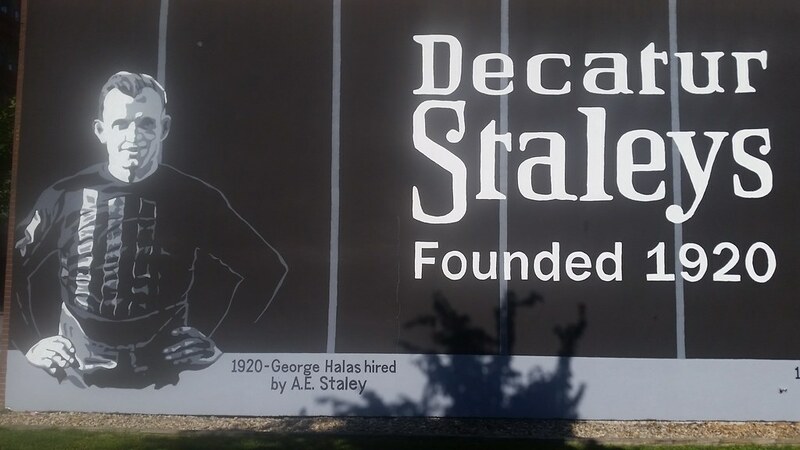 Wordmark is based off of this mural in Decatur that's also been used by other various merchandise. 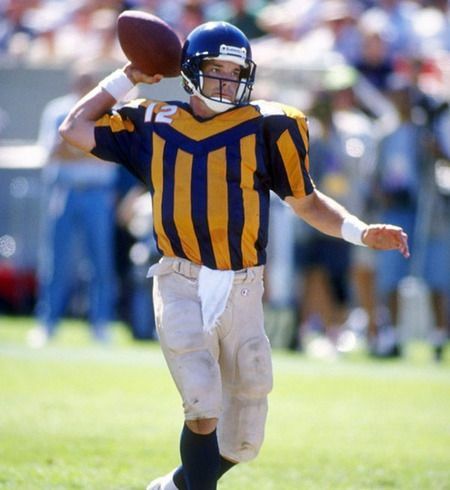 Due to there not being much pictures showing the backs of these jerseys, I assumed the Staleys wore this type of block (as did most teams in the 20s) and as gridiron-uniforms.com assumed, that the numbers were white. Winning their 3rd NFL championship in these, there were actual pictures of the numbers on these jerseys, so the block has been adjusted accordingly. 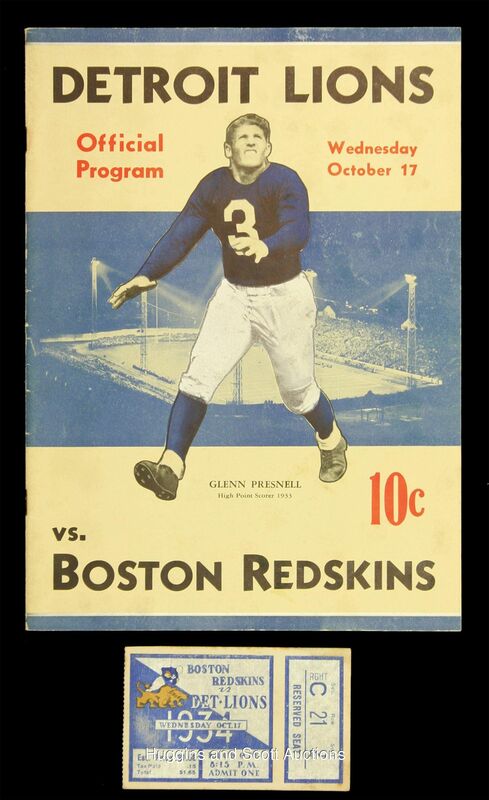 The logo and wordmark are taken from this 1933 game program. Not bad. But I'm not sure I like these more than the Sid Luckman-era throwbacks they've been wearing. I really can't stand canvas pants, even when they are historically accurate. I do like the idea of bringing back some of these 1920s teams, though. Any chance we might see the Colts as the Dayton Triangles or the Vikings as the Duluth Eskimoes? 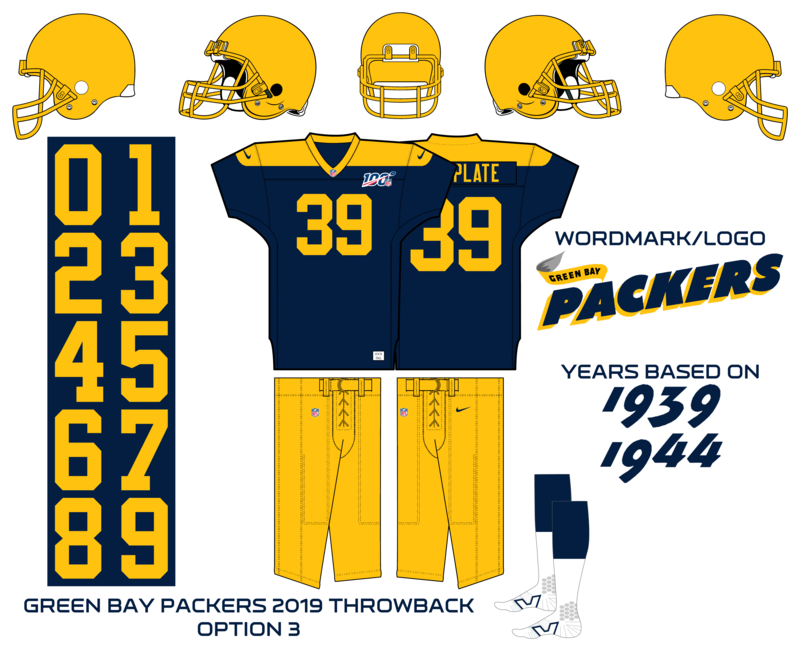 I agree, but in this series, it doesn't make sense to rework an existing throwback that's already decent (I only did 1939 Packers because I absolutely hate what the Packers are doing with their yoke). As for the Triangles, probably not, if possible I'd like to keep it within the same franchise or at least general area (so probably Eskimoes). The Colts can actually trace their origin back to the Dayton Triangles (sort of), and have the advantage of wearing similar colors. I suppose you could do the Bengals as the Triangles, but that would get rid of our chance to see their awesome 1980s uniforms. You're right! Wow... there is a long trail there, so I suppose I could make that happen then. As for 80s throwbacks, I'm not sure I want to throw back to that recent, but for the heck of it, I could make it as a 3rd option. Nice Bears concept. What do you plan on doing for a team like the Jaguars, who don’t have a lot of history? I'll look into football in said city (so for Jacksonville, I might make a Jacksonville All-Stars jersey if I can dig up enough pictures, maybe even Jacksonville Sharks, Express, Firebirds, or Bulls), or if I don't like those options, I might make a fauxback. In the early days of football, the leather strips on jerseys to supposedly grip the ball better were quite common, and the Portsmouth Spartans were no exception, so here's my crack at making a good looking jersey (and not the travesty that was the 1994 Bears). The logo comes from a modification of the popular logo on Portsmouth Spartans merchandise to make it rounded like what is on this 1920-1960 NFL map. A recurring theme I find when researching about these old jerseys is that current NFL designers are (not surprisingly) lazy when it comes to throwback number blocks. The Bears are the only one that put some effort to making their throwback block semi-accurate, whereas the Packers and Lions just slap on the standard current varsity block regardless of historical accuracy. And that is one of the main reasons I started making the Packers concepts to begin with. So, of course, I fixed the block, and found that the Lions logo of 1950s was actually used back in the 1930s as well (as seen on this 1934 ticket). As a result, I found a higher quality version of the logo (on this 1954 records and rules manual) as recolored it to similar as the ticket. Im glad you take the time to make the font correct. 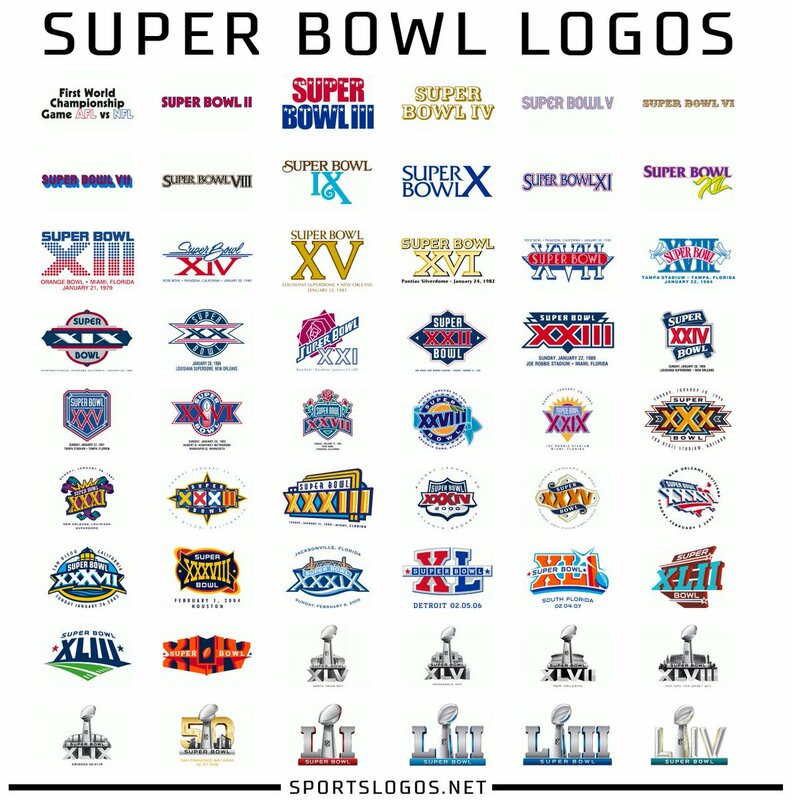 It gives it more of a throwback feel and thats what the NFL should be doing. I cant wait to see what you have in store for the Vikings. Personally I would want a throwback to 1961, but I feel the best option could be to wear Duluth Eskimos throwbacks (might be hard with the front logo). Very hard to beat the plain silver and blue throwbacks that the Lions have always worn. Really good so far. Can't wait to see what you do for my Chiefs! For the Jaguars, you could try using their proposed uniforms back when they first started designing them but it is just my suggestion.